The award-winning RoboForex is an attractive brokerage due to their vast array of options, supporting any skill level trader and their peculiar styles. The number licensed trading platforms surpass most other firms as do the number of bonuses and promotions they constantly offer. Recognized worldwide as a quality forex service provider, RoboForex ensures successful trading by providing an array of conditions and parameters so you can trade based on your style and comfort level. With an emphasis on confidentiality, transparency, and accessibility, you’re soon to find out why RoboForex.com is one of the top brokerages. RoboForex is licensed by the Cyprus Securities and Exchange Commission and is an official member of the Investor Compensation Fund of Cyprus. Backed and supervised by governing agencies, RoboForex allows you to breathe a sigh of relief knowing you’re dealing with professionals. This is part of the reason why a large majority of Eastern European forex traders choose the company. 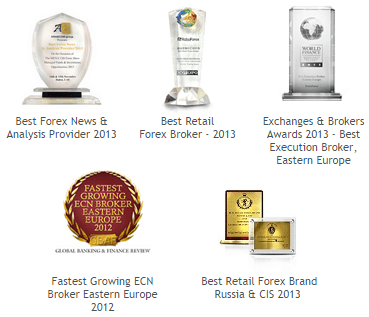 RoboForex has been awarded many awards, including but not limited to Best Retail Forex Brand in Russia, Best Retail Forex Broker, and Best Execution Broker in Eastern Europe. It is due to their experience, knowledge, and professionalism that they have become one of the fastest growing brokerages in the region. But you don’t have to live in Europe to take advantage of this exceptional company’s offerings because they are a global brand dealing in global currencies. Their attention to execution times, connectivity, and support makes their network attractive to any trader at any skill level. The world of RoboForex is one of options. Whether you want to trade on a platform you’re used to but other firms don’t supply, practice on a demo account, or hire a virtual private server and scale your operation with robots, you’ll be able to do this and more. And if you want to fund your account as you draw the interest of your friends and family, you’ll enjoy the affiliate commissions as well. Traders around the globe are experienced with and have developed complicated workflows based around the trading platform called Metatrader 4. Have no fear because this is available as well as Metatrader 5. Another growing option for more sophisticated traders is cTrader, which is also licensed and supported for RoboForex users. But it doesn’t stop there thanks to having access to Currenex Viking Trader. As you know, successfully working in the market requires fast reaction times to the news. That’s why RoboForex has ensured that you’ll be able to work wherever you are at with their iPhone, iPad, and Android applications for mobile and tablets. You’ll never miss a trade, alert, or news break. When you’re done practicing on one of the free demo accounts, you’ll be excited to receive dozens of revolving bonuses and promotional offers. When making your initial deposit, you can enjoy up to 105% bonus money. That’s over double to help you get started. Continual deposits can earn up to as much as 50% of their worth, while even more can be gained thanks to the rebate offers changing monthly. Not everyone is already a forex whiz and RoboForex understands this more than others, which is why they provide a collection of education materials to bring beginners up to speed. Studying the introductory videos, following along with the webinars, and reading through the advice articles and glossary will help take a complete novice into the stages of advanced beginner quickly. With seven account types, traders will find a set of conditions that suit them the best. They are separated between ECN accounts, Standard accounts, Cent accounts, and a demo option. Each account type features a Fix or a Pro type, providing tons of variation for any trader style. Of course, ECN types will pay for commissions while Standards will pay based on fixed spreads. Intermediate and Veteran traders are comfortable and understand these account types, but beginners have a special option available to them. The Cent accounts for beginners is a wondrous option allowing you to shift out of the demo accounts and into the real game without placing too much risk upon yourself and your assets. This allows novices to use the smallest allowable units of currency with micro-lot trading so practice can be had at a reasonable fee until the novice becomes seasoned and ready to move forward. None of these account types requires a minimum initial deposit size. That sounds great but there is a catch. There are minimum order amounts and typically higher spreads than you’d expect elsewhere. This means that while the barrier to entry is smaller with RoboForex, you will be paying a premium for that luxury. The promotions and bonuses can make up for this by far, but you may find that you want to eventually move on to a different brokerage as you begin trading higher volumes. There unfortunately is a lot of talk concerning this company, with some people going as far as to create an entire anti-RoboForex website. As you dig more into the discussion you find that the variety of complaints all seem to derive from suspected liquidity problems. There is no way to verify this information. 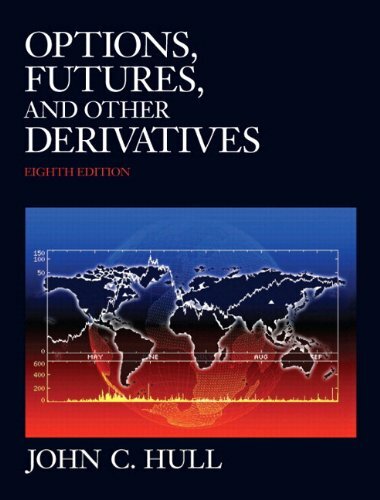 The concerns arise around the widening of spreads during trades and intermittent connectivity to the API’s and bridges. 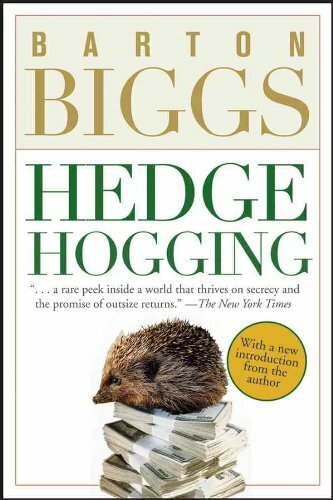 This meant that some people couldn't close a profitable position fast enough or were left with an increasingly non-profitable position without the ability to do anything about it. The question arises how legit these concerns actually are once you read the rebuttal from the company addressing a supposed feud from another company who is spreading these concerns through a false media campaign across the internet. When situations like these arise, it is recommended that investigate the matter for yourself before coming to conclusions. Bitter competitors can and will lie about a company during the midst of their success, but that’s not to say that is the case here. Please decide for yourself. Unique among most brokers is that RoboForex offers more forms of contact and customer support than any other I’ve encountered. For instance, you can even reach support through the Skype chat program. The company lists email addresses for each department so you can skip the run-around and go straight to those that can help you. Of course, phone lines and live chat are both available as well, but only during open business hours. Their hours include a 9 hour day in which you can reach anyone or request a callback. Also, most of the common questions can be answered by reading through the support documentation in the customer account. You may also send feedback through their contact form if your problem doesn’t require a return response. The award-winning RoboForex is an attractive brokerage due to their vast array of options, supporting any skill level trader and their peculiar styles. The number licensed trading platforms surpass most other firms as do the number of bonuses and promotions they constantly offer. You will appreciate these factors and their policy of not having a minimum initial deposit, meaning any beginner can get started with them no matter what. It should be reiterated that the spreads and commissions are a bit higher than you may expect with a bit longer of an execution time, still within the realm of reason though. This is the trade off you take for the financial benefits offered. As you become a more proficient and high volume trader, you may want to look into other firms. But as a beginner, you’ll find no better option than RoboForex.com.